Over the last few days we've received some extraordinary stories of your relatives. Here is a just small selection of the amazing tales of heroism, friendship and bravery. 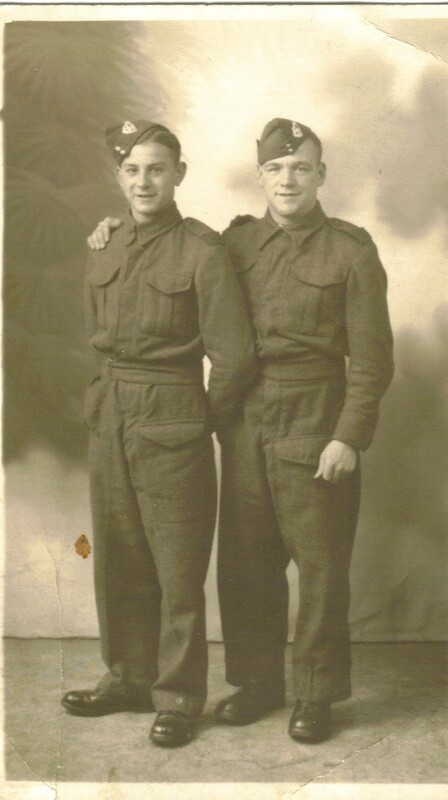 "Walter Larrington met a chap called Eddie Duffy during his time in East Lancashire Fusiliers. They were good mates and got split up during the war. It was 40 years later that they met again, Eddie had been searching for my dad. How wonderful is that? It shows what big mates they were. Very proud to have talked to Eddie. Will be attending service today in Knottingley to remember them both. Walter was called up on his 21st birthday." "My Grandfather, the Rev John Arthur Chesterton was an RFC/RAF padre in both World Wars. In the Second World War he was posted to RAF Sheppey, where the poor wretches who'd lost their nerve, were accused of lacking moral fibre and publicly stripped of their wings, were sent. He had them convert a Nissen hut into a fully equipped Anglican chapel, and arranged for the Archbishop of Canterbury to come and dedicate it." "My grandfather was Alfred Barnett killed on the 8th June 1917 in Arras France. He was sent to the Suffolk Regiment from Leek Staffordshire served in the 11th Regiment as Private 41210. He is commemorated at Arras Memorial Cemetery which my husband and I visited last year. He is shown in the Book of Remembrance at the entrance to the cemetery and his name engraved amongst thousands of others on the walls surrounding the entrance. He left a widow and six children. My grandmother, Lottie Barnett, suffered a breakdown at the news and was admitted to St Edwards Asylum in Cheddleton at the age of 26 and died there in her mid 50s. The children, amongst them my father Daniel Barnett, was fostered out after they had been taken from Leek Railway Station to Worcester Shrub Hill Station. He was aged three and the eldest 15. Daniel, my father, spent the whole of his life in Worcester after leaving Leek. 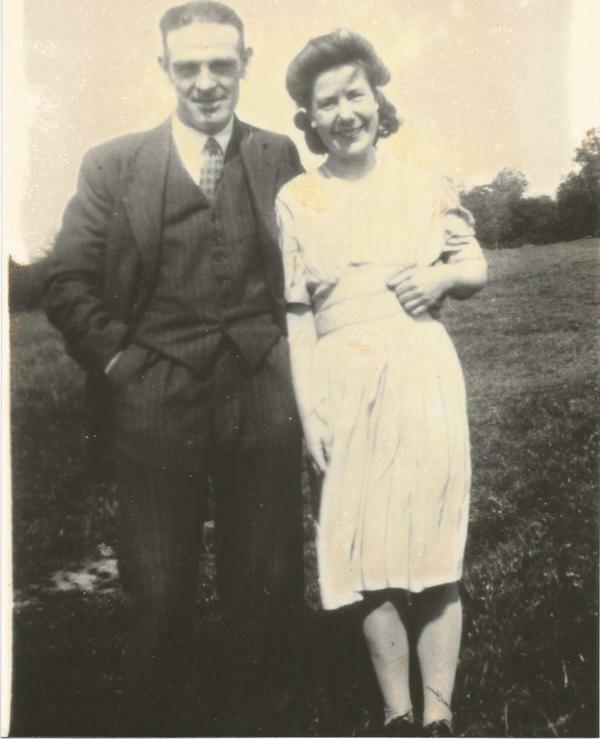 Except for WW2 when he joined up and survived the Battle of Dunkirk, after which he was posted far and wide in Britain with his wife, my mum, Betty Barnett. Even surviving the night of the bombing on Coventry." "Uncle Frank had just found out his wife was pregnant – at the same time as his friend's wife had just given birth. He took his friend's duty so that he could stay with his wife and new baby. Sadly the sub he was on (HMS Triton) vanished with the loss of all on board. It was assumed that either the sub had hit a mine or been sunk by a U-boat." "My grandfather, his three brothers and their families came to Canada in 1908-1910. When WW1 broke out, my grandfather and two of his brothers joined the CEF. They were sent back to England, and served in France. My grandfather's brother was killed, he was wounded. His brother was one of the unknown soldiers whose body was never found. They were: Horace Lowings, killed in action, Herbert Lowings, my grandfather, wounded, brother Joseph. Joseph & Herbert returned to Canada and spent the rest of their lives here. My grandfather Herbert, his brother Horace are in the Book of Remembrance in Ottawa. My husband's young Uncle Herbert Beverly Barnes was also killed in WW1 and is in the Book of Remembrance also. My daughter Janice McLees Gow & her husband Everett Gow served in The Canadian forces for many years. They are retired veterans." 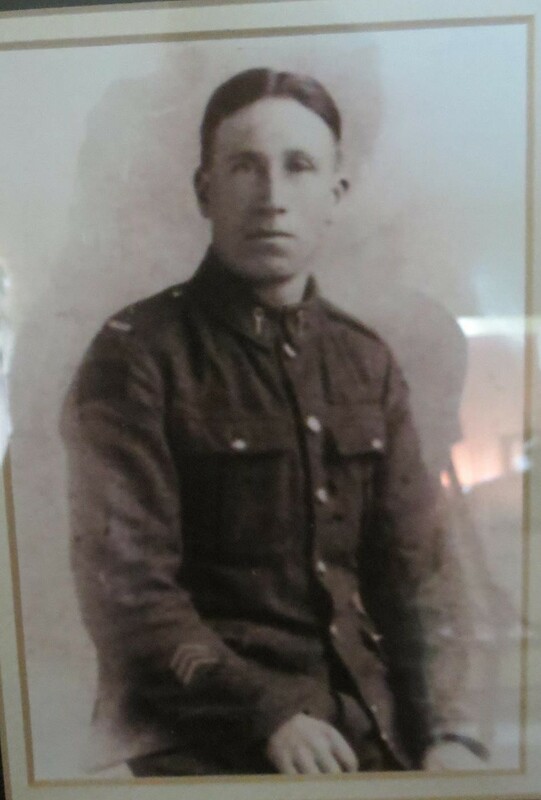 "My Grandfather, William P Gill of Newbawn, Co Wexford, Ireland, fought in WWI alongside his two brothers Martin and John in the Battle of the Somme in France. William was a member of the Irish Guards, a requisite being to be at least 6 ft plus !!! He luckily returned home (wounded) but lived to the ripe old age of 93. His two brothers were, as far as I know, members of the Royal Enniskillen Fusiliers- alas John was killed in battle 21.10.1916 and buried in a cemetery near Lille in France (Ballieuil). Martin was also wounded in battle and returned home." "Albert Sque (Bert) of the First Batallion, the Hampshire Regiment, died on the 1 July 1916 at the Somme. His body was never recovered. Jesse, his brother, was also there but survived, his two other brothers, Ralph and Mark, were fighting in different areas and also survived. Bert had already survived the battles of Gallipoll and been in hospital in Torquay after this. He was originally from the New Forest, a farmer from Bashley. He was my great-great uncle. His nephew was born the following year and took the name Albert as his middle name. He is remembered on the New Milton War Memorial and the Theipval Memorial. His cousin twice removed, Wesley Henry Sque, died in a POW camp in Germany of dysentery just days before the end of WW1."